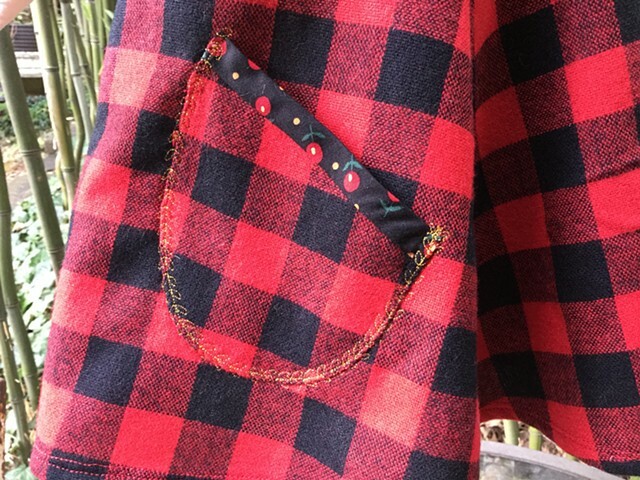 Made from washable wool in red / black buffalo plaid, cool weather jumper is complimented with sweet calico print and decorative stitching, perfect combined with long-sleeved turtleneck and leggings. 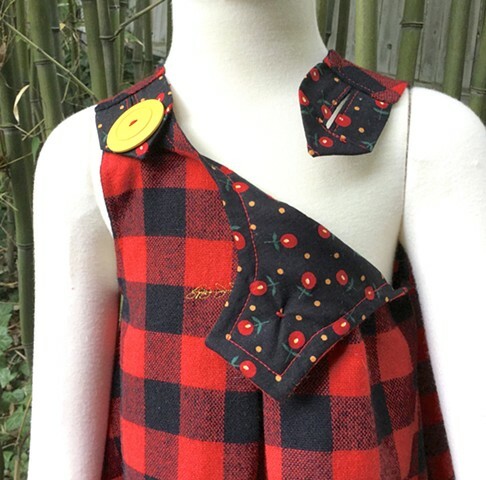 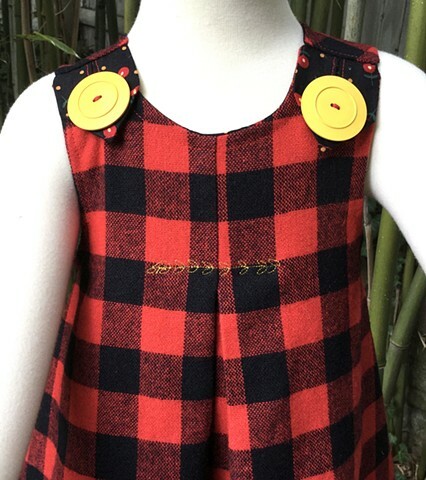 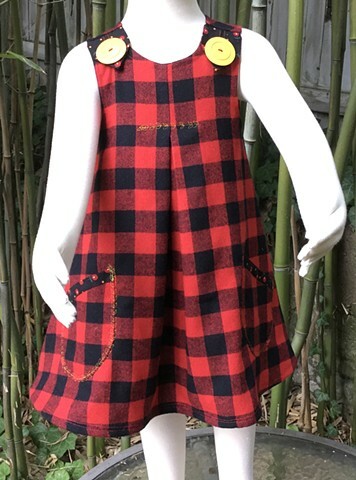 Closes at shoulders with loops and enormous yellow buttons, generous pleats in front and back, lined pockets, size Pre-School (3-4 years), measures 22” across chest, 21” shoulder to hem. 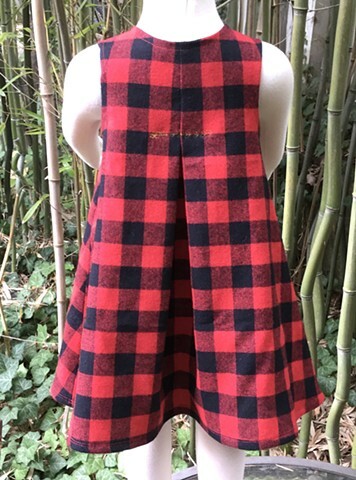 $70, 100% cotton, made by the designer herself and shipped free to any address in the U.S.